There is a market for inflation linked government bonds (some countries e.g. US,CA,UK,FR,Germany,...). There are various prices quoted. The price with inflation lift (the inflation that has accumulated since the inception of the bond) and the price without the lift reflecting future nominal interest and inflation. 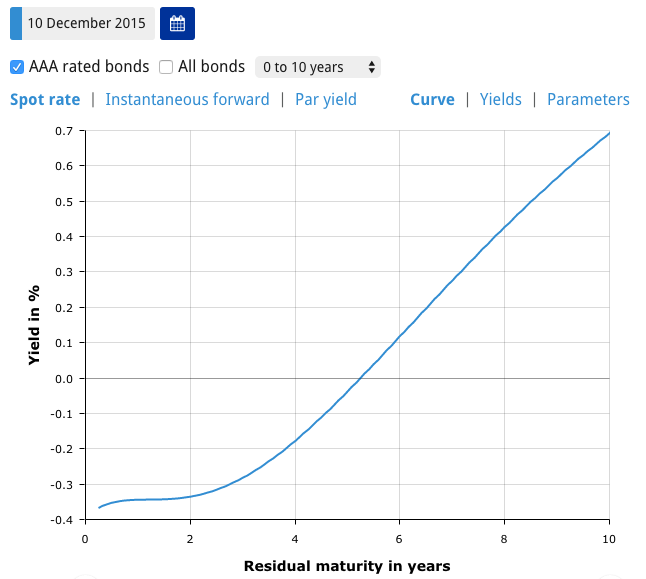 You can calculate the real yield to maturity of inflation linked bonds (using the price without the lift) you get a coupon/yield curve. If you bootstrap this curve then you get a real zero curve. You can subtract nominal rates to get some kind of implied inflation expectation. But note that for example Germany and France issue bonds linked to EMU inflation and I would be surprised if you get the same expected inflation for both bond markets (although they are linked to one and the same). Not the answer you're looking for? Browse other questions tagged interest-rates yield-curve inflation or ask your own question.